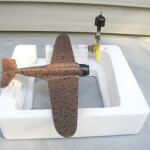 I always wanted to build the Japanese torpedo bomber that attached Pearl harbor. 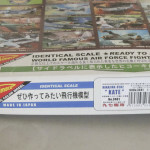 I found the kit when I knew nothing about the difference in quality between model manufacturers. 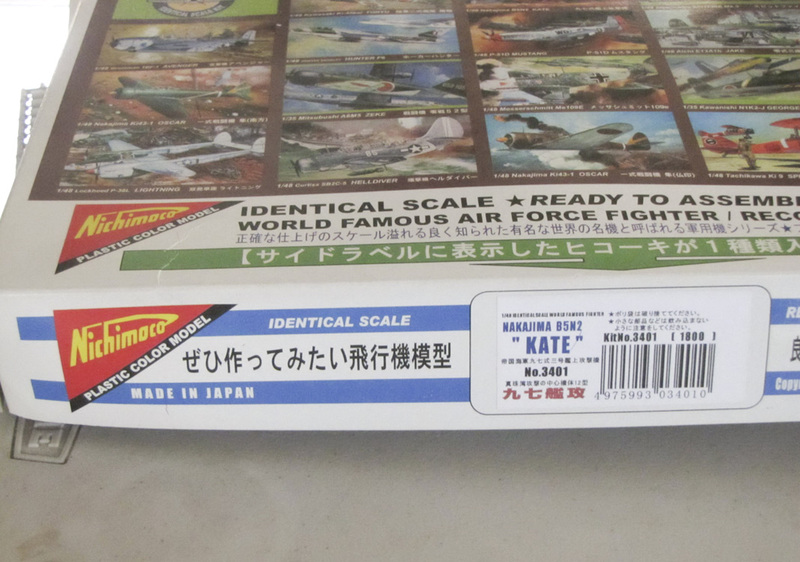 I must have had this kit for five years, but I got side tracked by 1/32″ scale expensive models. The box reads “Nichimaco” (the funny script is Irish) and I believe I got it on Ebay for less than $18.00. The kit instructions left a lot to be desired, in fact, there were times I was sure the entire set of instructions were printed in Irish. 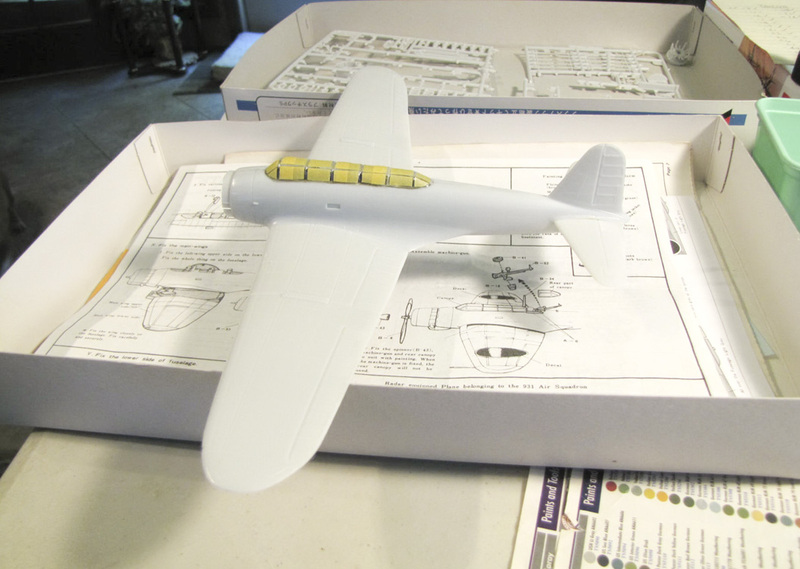 The interior was filled with detail parts and looked neat when completed. 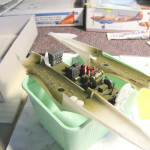 But, all that work and it is very tough to see any of the interior layout through the canopy. 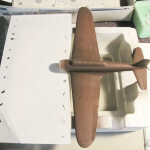 The engine also had numerous parts, but after it was installed in the cowling there was little left to see. 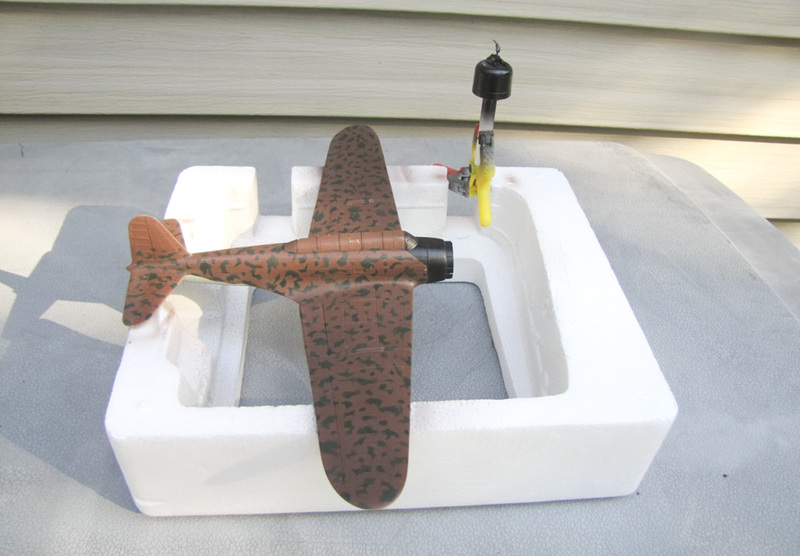 Although the kit I purchased did not have it, a version was available with a battery driven motor. 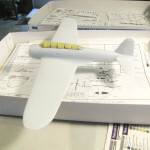 The body of the model went together nicely, with only minor problems to the wing root and with alignment. 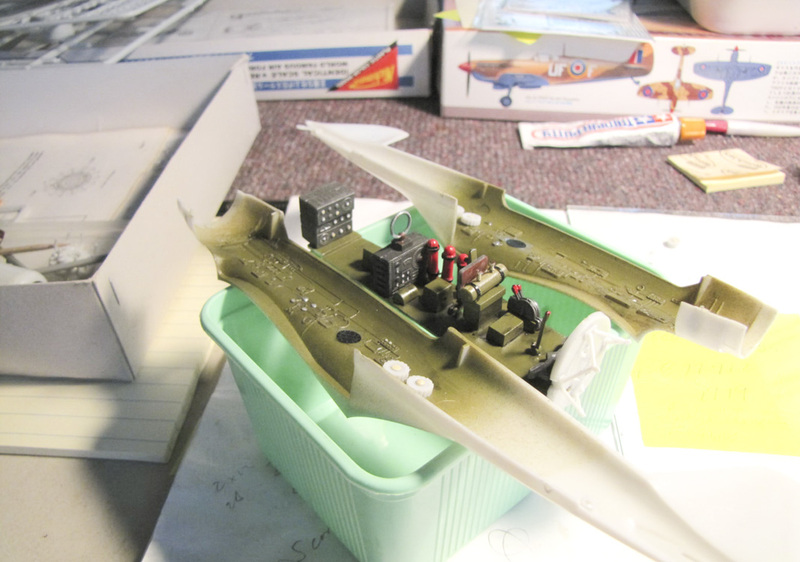 I primed the model gray, then I masked the canopy with Tamiya tape and installed it on the plane. 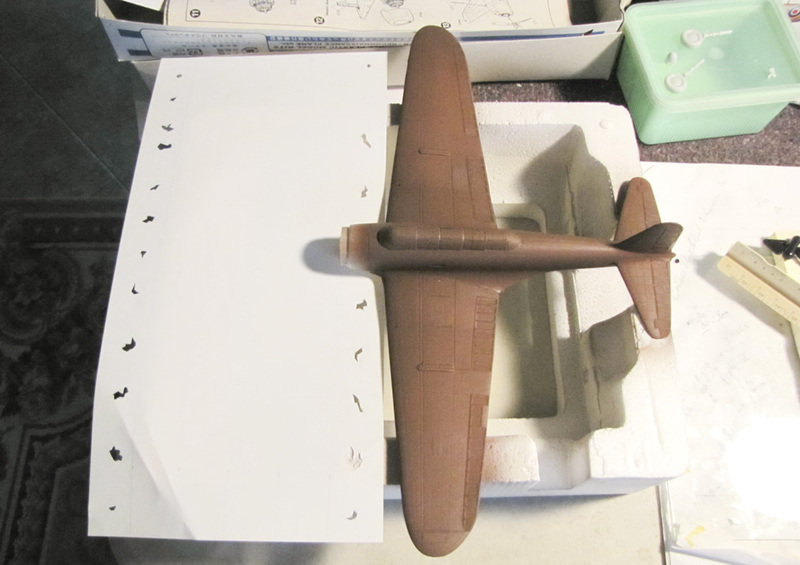 The upper surface is painted a brownish color (I am shade colorblind). Most Japanese color schemes are rather bland. This plane was unique and was a real challenge to my limited ability. I used a thin sheet of Styrofoam to cut out about 20 different blotch patterns. 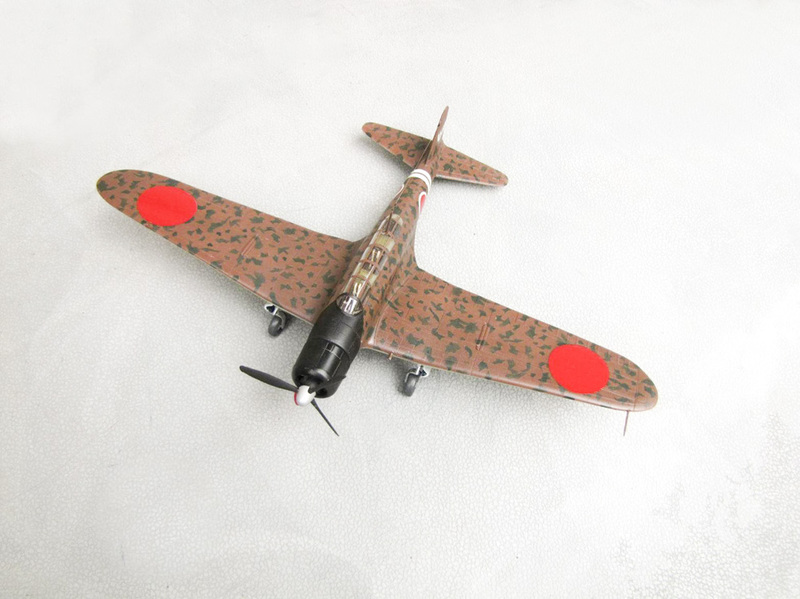 I then held the pattern above the surface of the model and spray painted the dark green spots all over the top of the surface. I put the decals on without any “Micro- set or Micro-sol” and they looked great. But as wisdom would have it, I later decided to permanently set the decals with Micro-sol. What a mistake! I had to slice a dozen bubbles that formed from using the setting solution. I should have just said “It as good as you are going to get” and left them alone.